Friedland Carmona was honored to attend the 10th Annual Shop to Stop MS fundraiser as a Gold Sponsor on Wednesday, November 14th. 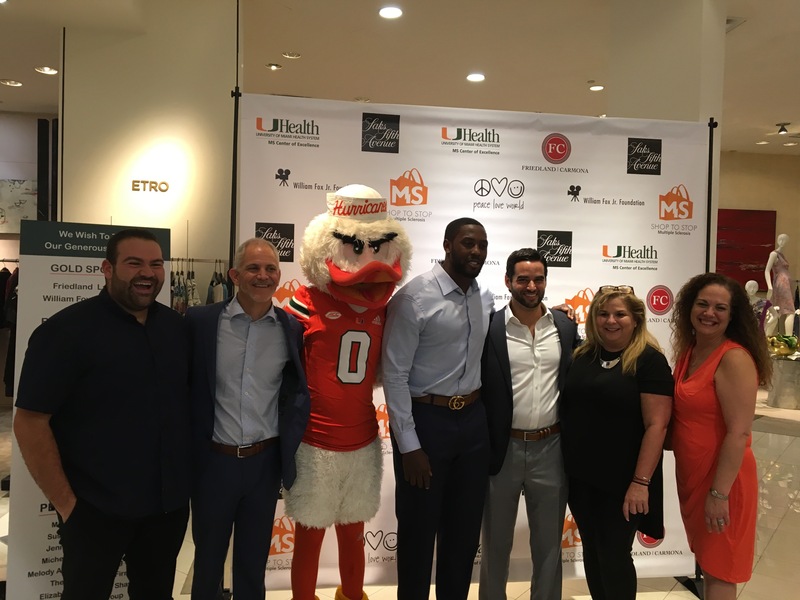 Making its 10th appearance at Saks Fifth Avenue Dadeland, this annual community event aims to raise both funds and awareness for the UHealth Multiple Sclerosis Center for Excellence. Led by Dr. Kottil Rammohan and his team, the MS Center for Excellence uses proceeds from the event for patient care, specifically for patients who do not have insurance or who cannot afford the cost of treatment. Funds will also be used to further Multiple Sclerosis research and awareness.